Trigeminal neuralgia (TN) is one of the most painful conditions occurring in the face. It causes sudden, severe, unilateral, sharp, stabbing, or burning pain along the distribution of the trigeminal nerve. Antiepileptic and analgesic medications are the primary choices of therapy. Peripheral trigeminal nerve block is a beneficial treatment option during the acute paroxysmal period of TN in patients who have contraindications or are refractory to pharmacological management. TN at V2 (maxillary) area is reported to account for 37.8% of all TN cases, and 80% of TN at V2 can be treated with infraorbital nerve block. Ultrasound imaging is helpful in localizing the infraorbital foramina for giving superficial trigeminal nerve block. In this case series, we performed real-time ultrasound-guided infraorbital nerve block which is a branch of the maxillary division of the trigeminal nerve. All patients had satisfactory pain relief. Trigeminal neuralgia (TN) is one of the most painful conditions occurring in the face. It causes sudden, severe, unilateral, sharp, stabbing, or burning pain along the distribution of the trigeminal nerve. Treatment modalities include oral anticonvulsants, peripheral nerve blocks, radiofrequency ablation, gamma knife therapy, and microvascular decompression surgery. Drug therapy is the primary choice of management. However, in cases of contraindications to antiepileptic drugs, patients can be treated by alternative invasive approach. One of them, peripheral trigeminal nerve block, can be performed in a day-care setup with immediate pain relief in most patients. Therefore, it is a beneficial treatment option during an acute paroxysmal period of TN in patients who cannot be treated by antiepileptic drugs. TN at V2 (maxillary) area is reported to account for 37.8% of all TN cases, and 80% of TN at V2 can be treated with infraorbital nerve block. 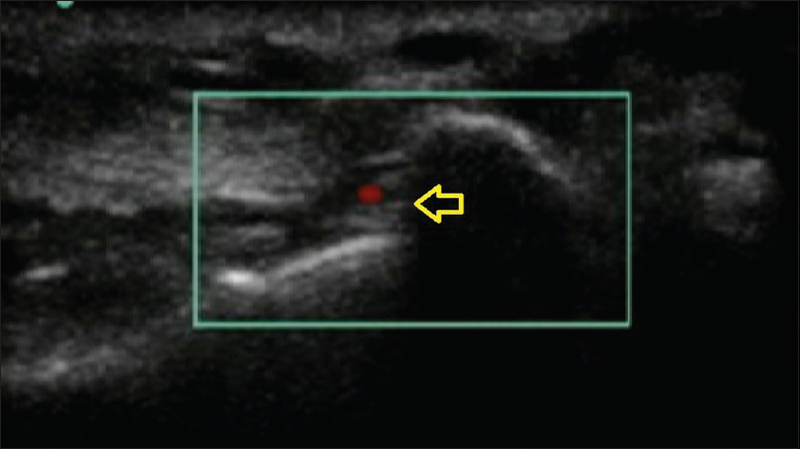 Ultrasound (US) imaging is helpful in localizing infraorbital foramina for giving superficial trigeminal nerve block., Cadaveric studies suggest a high degree of accuracy of US guidance during peripheral trigeminal nerve blocks. In this case series, we have performed real-time US-guided infraorbital nerve block, a branch of the maxillary division of the trigeminal nerve. Four patients (two males and two females, mean age: 44 years) with TN in the V2 area were selected according to the study criteria. Pain was not relieved in these patients with medications alone. They agreed to undergo US-guided infraorbital nerve block in preference to other invasive procedures. Written informed consent was obtained. Pain relief post-procedure was assessed by Barrow Neurological Institute Pain Scale [Table 1]. The patients were placed in the supine position. After cleaning and draping facial area maintaining utmost sterility, an ultrasonography (USG) machine with 6–13-Hz linear probe (SonoSite, Inc., Bothell, WA, USA) was used with sterile cover. US scanning was started by placing the probe horizontally just lateral to the nose to find dimple of the infraorbital foramen. US probe was slid from the medial to the lateral direction till a disruption was seen in the hyperechoic line indicating the infraorbital foramen [Figure 1]. After locating the nerve and confirming its relationship with infraorbital artery using Doppler mode [Figure 2], a 23G, 75-mm spinal needle was inserted by the caudal edge of the probe and advanced into the infraorbital canal using in-plane approach [Figure 3]. After aspiration and confirmation of no intravascular injection, 0.2 ml of saline was injected to open up the plane containing the infraorbital nerve. About 0.5-ml 1% lignocaine was given to check for immediate pain relief. After successful diagnostic block, 0.5-ml 0.5% bupivacaine with 0.5-ml dexamethasone (2 mg) or only 0.3-ml 6.7% phenol was injected keeping the needle in the same position and checking the spread of drugs in USG. All patients were followed in a pain clinic. Two patients who received dexamethasone with bupivacaine had recurrence after 2 weeks, whereas those who received phenol had long-lasting pain relief [Table 1]. None reported recurrences of pain at 3-month follow-up or any side effects including paresthesia, dysesthesia, or double vision. All patients had satisfactory pain relief. TN is a neuropathic disorder characterized by episodes of intense pain in the face originating from the trigeminal nerve. There are various clinical options to treat TN: medications (carbamazepine, amitriptyline, and baclofen), nerve blocks, radiofrequency ablation, gamma knife therapy, and microvascular decompression surgery. Drug therapy is the primary choice of treatment. However, in contraindications to side effects, patients can get immediate pain relief from invasive procedures like peripheral trigeminal nerve block. TN at V2 area is reported to account for 37.8% of all TN, and 80% of TN at V2 can be treated with infraorbital nerve block. US imaging is found to be useful for localizing infraorbital foramina while performing a superficial trigeminal nerve block., We performed real-time US guidance for infraorbital nerve blocks in patients who had contraindications or were refractory to drug therapy. An infraorbital nerve block is usually performed using anatomical landmarks with palpation of the infraorbital foramen. In peripheral neurolytic trigeminal nerve block with alcohol, literature reports success rates from 80% to 91%. Literature continues to be published, arguing that accuracy rates for injections using blind technique are not as high as desired. Infraorbital nerve radiofrequency ablation is an alternative safe technique in TN. However, we did not use radiofrequency as the machine was not functional during the period of our study, and we used minimal volume of neurolytic agent (0.3-ml phenol) so that spread is localized. In this case series, hypoesthesia at infraorbital region was observed in all patients at 2 weeks showing a 100% success rate. Patients who received phenol had long-lasting pain relief. Neurolytic agents can be used safely. 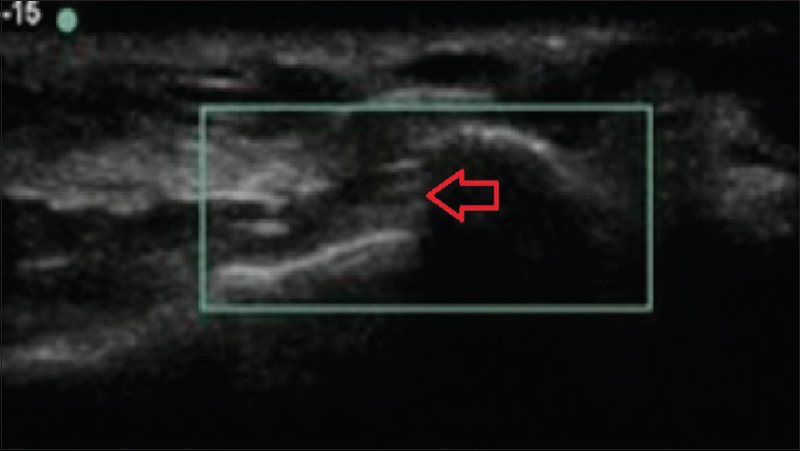 Thus, application of US-guided technique increases success rate of infraorbital nerve block. Another advantage of US-guided block is that neurolytic agents such as phenol and alcohol can be used safely. However, there is a need for long-term follow-up of patients to study recurrence rate. The USG-guided infraorbital nerve block has shown immediate pain relief and satisfaction in patients with TN not responding to medical treatment. Fashner J, Bell AL. Herpes zoster and postherpetic neuralgia: Prevention and management. Am Fam Physician 2011;83:1432-7. Spatz AL, Zakrzewska JM, Kay EJ. Decision analysis of medical and surgical treatments for trigeminal neuralgia: How patient evaluations of benefits and risks affect the utility of treatment decisions. Pain 2007;131:302-10. Kato Y, Wakasugi F, Yuda Y, Nakazaki K, Shioya M. Therapeutic experiences with 1,133 cases of trigeminal neuralgia. Masui 1975;24:903-7. Tsui BC. 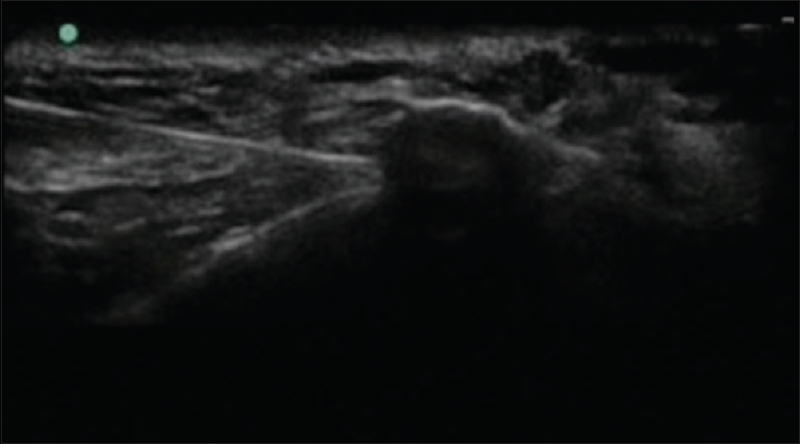 Ultrasound imaging to localize foramina for superficial trigeminal nerve block. Can J Anaesth 2009;56:704-6. Michalek P, Donaldson W, McAleavey F, Johnston P, Kiska R. Ultrasound imaging of the infraorbital foramen and simulation of the ultrasound-guided infraorbital nerve block using a skull model. Surg Radiol Anat 2013;35:319-22. Spinner D, Kirschner JS. Accuracy of ultrasound-guided superficial trigeminal nerve blocks using methylene blue in cadavers. Pain Med 2012;13:1469-73.